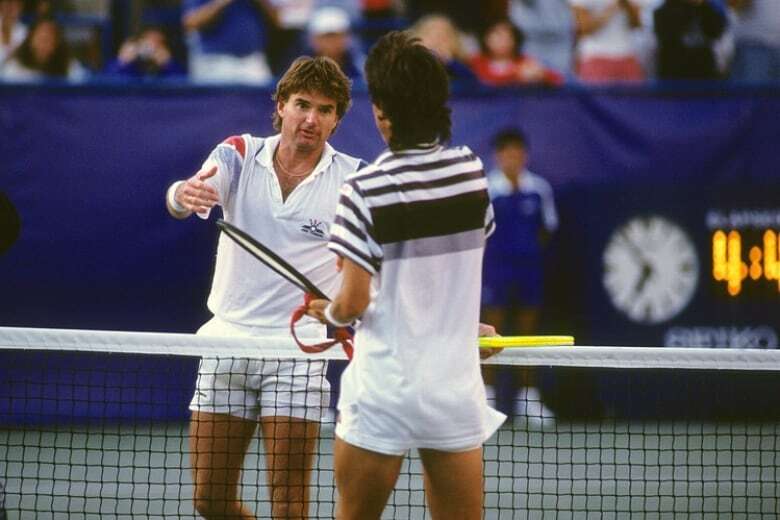 The US Open kicked off this week and Friday marks the 25th anniversary of one of the tournament's best matches: when Jimmy Connors, fresh off wrist surgery, beat top-10 opponent Aaron Krickstein in a 5th set tiebreak. Tennis historian Joel Drucker tells the tale of a match that's still revered today. 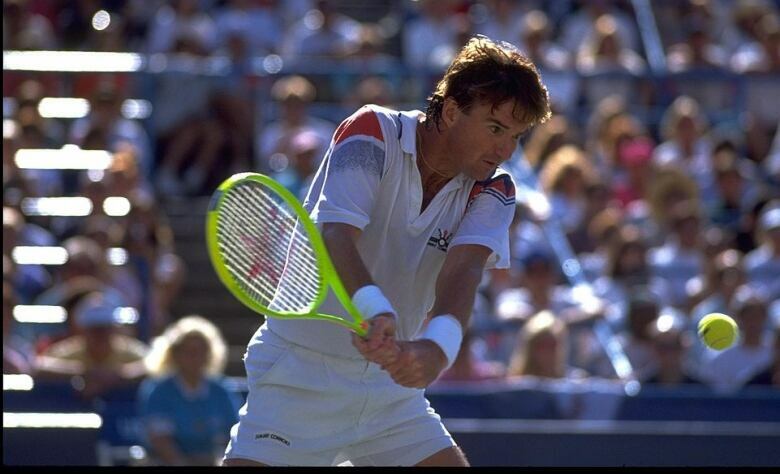 In 1991, Jimmy Connors was in whatever comes after the twilight of one's career. He was a week away from his 39th birthday and fresh off reconstructive surgery on his wrist. The once-dominant champion had to settle for a wildcard entry in the U.S. Open and a 174th ranking. Basically, buying a ticket for his first round match was considered one last chance to say goodbye. For the first two and a half sets, the score followed the script. "First round of the 1991 U.S. Open, it's Connors v. Patrick McEnroe and Connors is down two sets to love, love-three, love-forty," says tennis historian and Tennis Channel analyst Joel Drucker. "That's like having just your pinky on the ledge." Put another way, Connors was about five minutes away from shaking hands and heading for the showers. Connors chipped away at McEnroe's lead. First, a game and then a set at a time. "He always like being overlooked. Don't count me out, he'd say. Then, he'd take back the night or bring the kid of intensity that only he could bring," says Drucker, author of Jimmy Connors Saved My Life: A Personal Biography, the quintessential book on the Brash Basher of Belleville. Connors ends up winning the match after 1:30 in the morning and the thrilling the crowd with an incredible 5-set come-from-way-behind win. Connors cruised through the 2nd and 3rd rounds, storing the drama for a match-up against his friend and practice partner Aaron Krickstein. Labour Day fell on September 2nd, 1991. The same day Connors turned 39 years old. The man on the other side of the net was 24 and ranked in the top 10. On paper, it was lopsided. But on the court, both men fought tooth-and-nail with momentum and points swinging back and forth for more than four hours. It also involved a few classic Connors confrontations with referee David Littlefield, who was clearly intimidated after Connors' second-set blowup. "This became Connors in the theatre, Connors taking the match in his hands and rallying from 5-2 down in the final set and taking it, naturally, in a fifth set tiebreaker," says Drucker. "Whether they hated him early in his career or loved him later in his career, Connors could always get the crowd paying attention to him. He broke through the wall. Even some of the things he did that pushed the envelope with his behaviour, all of that made Connors the fan favourite, particularly in these late stages of his career," says Drucker. Drucker says Connors wanted to win every match and every tournament he played in but in 1991, it didn't work out that way. After a magical two-week run, he finally lost in the semifinal, in straight sets, to the fourth-ranked American and future world #1, Jim Courier. "Courier treated it like business. He knew everyone wanted Connors to win but it was just business," says Drucker. "He always said he played every match like it was a final and at this stage of his career, they were." 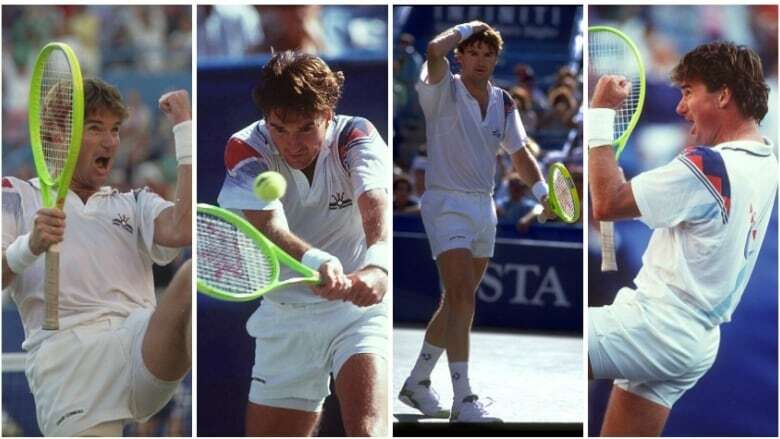 With respects to Andre Agassi's 2006 swan song, to this day, Flushing Meadows is yet to see a run like what Connors put together in 1991 and may not see another for a long, long time. "The drama, the athleticism, the great matches, all the things tennis wanted to be came together in that 1991 period," Drucker says. "He could have lost in the first round and it wouldn't have diminished his legacy. There was nothing truly at stake in 1991. Everything had already been accomplished so it was a requiem, a postscript. He was playing with house money that year," says Drucker. Boy did he cash in. To hear Joel Drucker's recounting of the Connors' great run through the 1991 U.S. Open, click the listen tab at the top of the page. Emerson College now offers a Masters Degree in comedy. No joke.